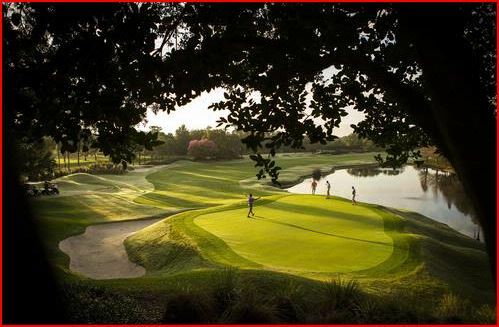 Visit Orlando and you will see why it is the number one destination for golf in Florida. 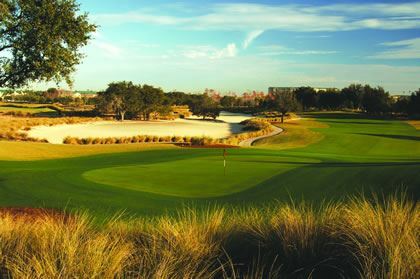 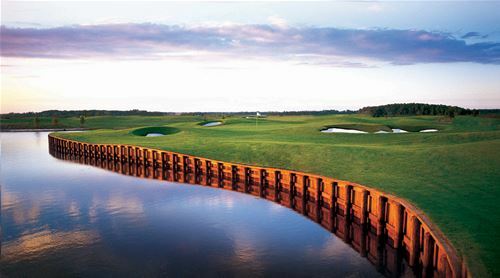 Nicknamed “The City Beautiful” Orlando offers an amazing array of golf courses and lots of sunshine. 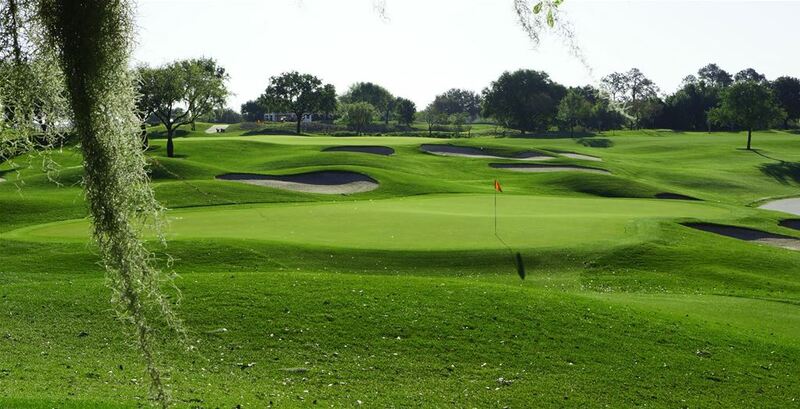 Average high temperatures in the winter are in the mid-70s! 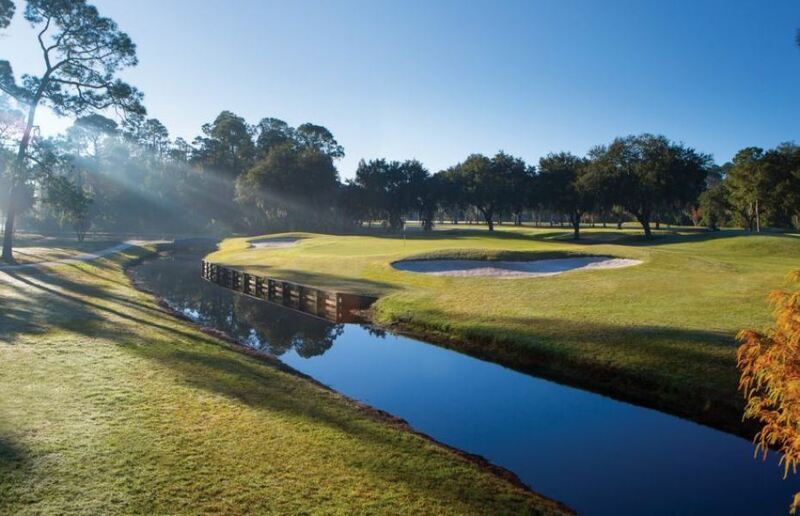 Escape the cold in the North and soak up Vitamin D on your Orlando Golf Vacation. 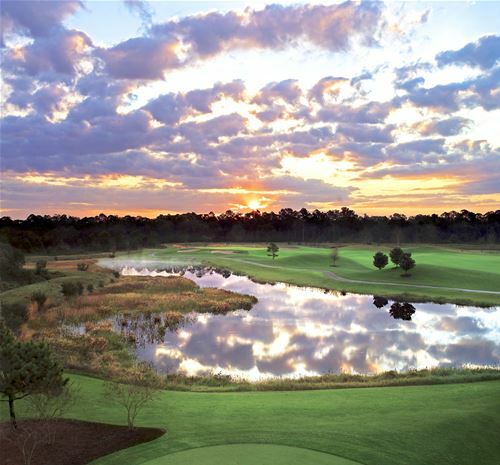 Orlando International Airport (MCO) has a plethora of direct flights from all points north. 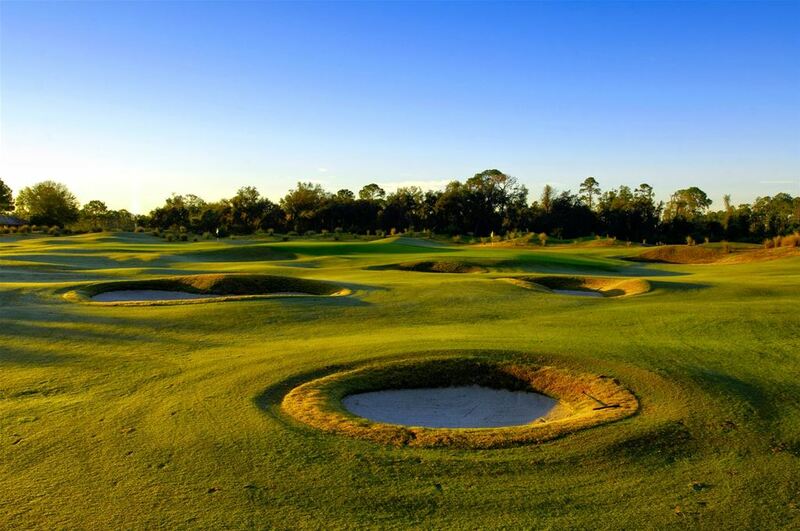 While not on the links you can enjoy visiting more than a dozen area theme parks including famous Walt Disney World and Universal Studios, and plenty of water parks too. 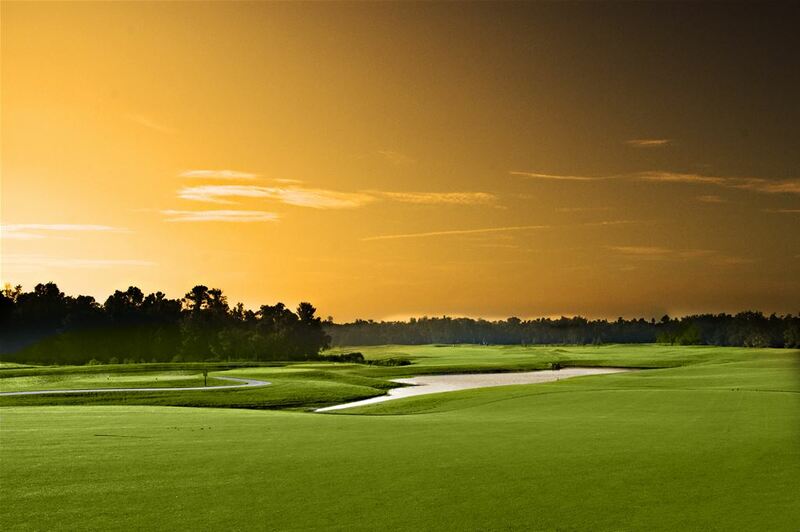 Looking for nightlife? 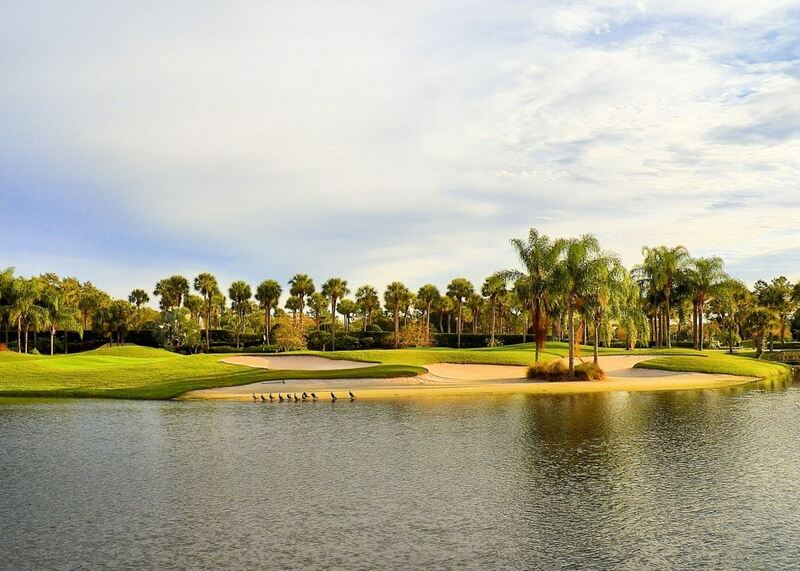 There is no shortage of clubs, restaurants, and bars to enjoy. 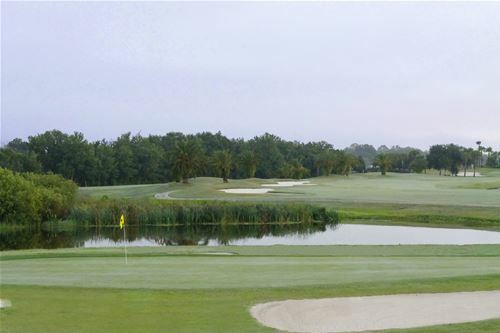 Accommodations: We offers an array of great lodging options to fit every budget. 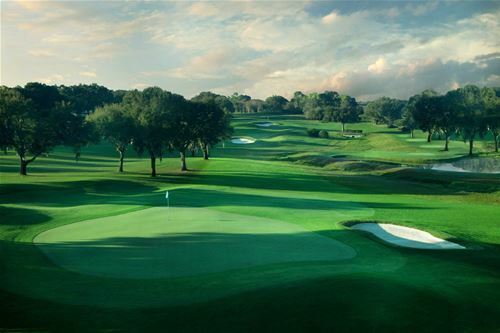 Relax in luxury at Arnold Palmer’s Bay Hill Club & Lodge featuring 70 lodge room and 7 private two bedroom guest houses or choose a two or three bedroom villa at Grand Beach Resort, Holiday Inn Club Vacations Resort, Mystic Dunes Resort, Reunion Resort, or the Villas of Grand Cypress. 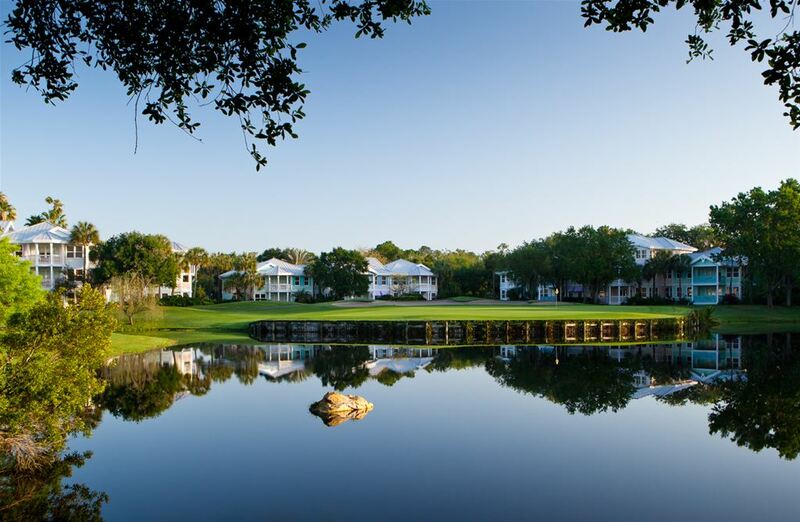 Looking for hotel accommodations? 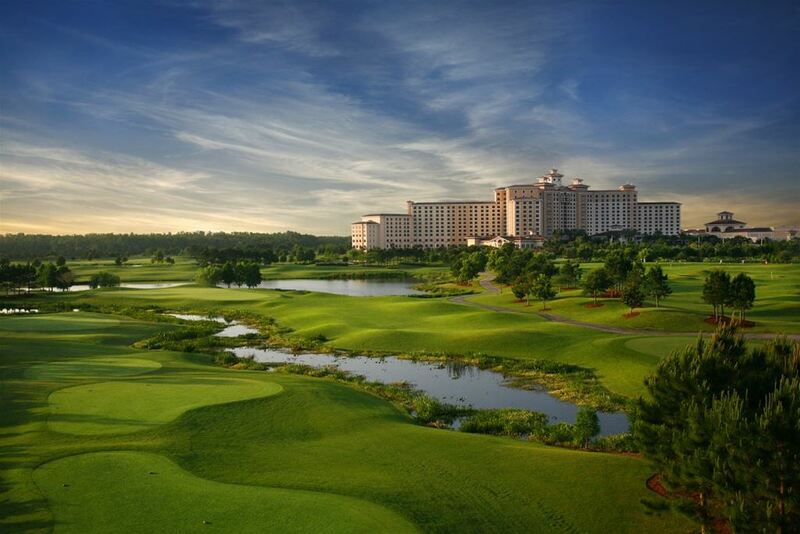 The Holiday Inn Orlando-Disney Springs Area or the Comfort Suites Orlando Maingate are excellent choices. 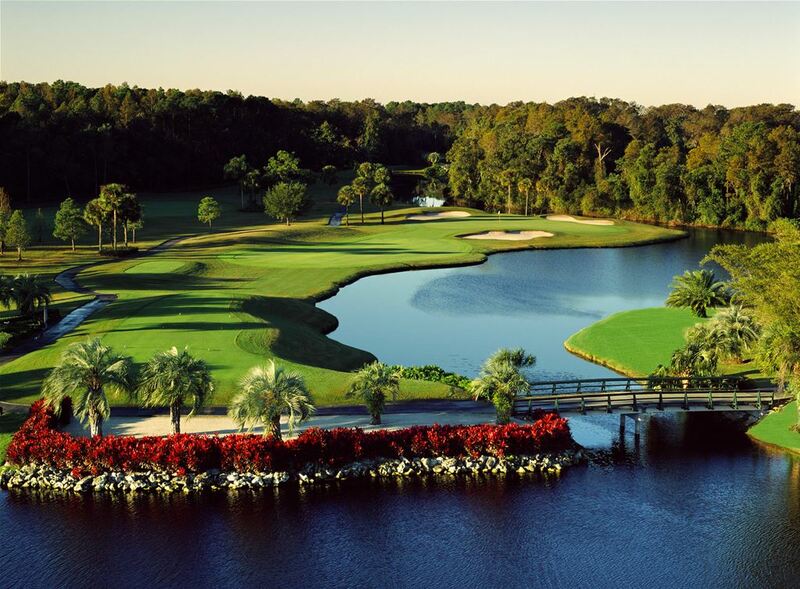 Legends Course at Orange Lake Golf Resortis a par 72, 7,072-yard championship course designed by Arnold Palmer. 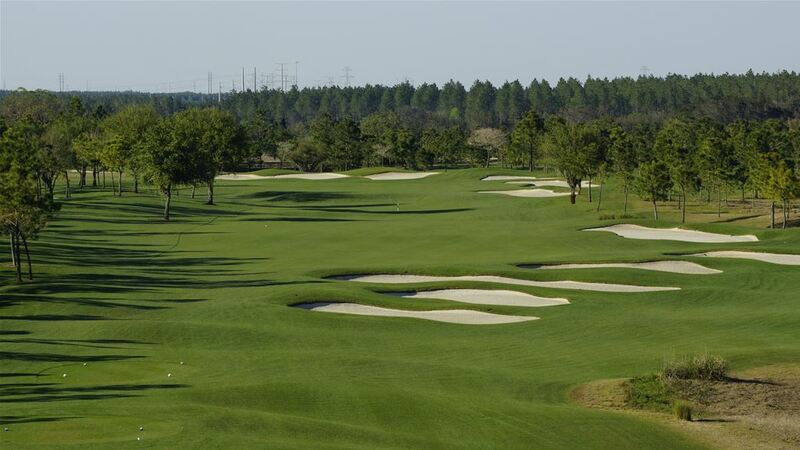 The front 9 is a Scottish style layout while the back nine features a Carolinas style that will please all levels of players. 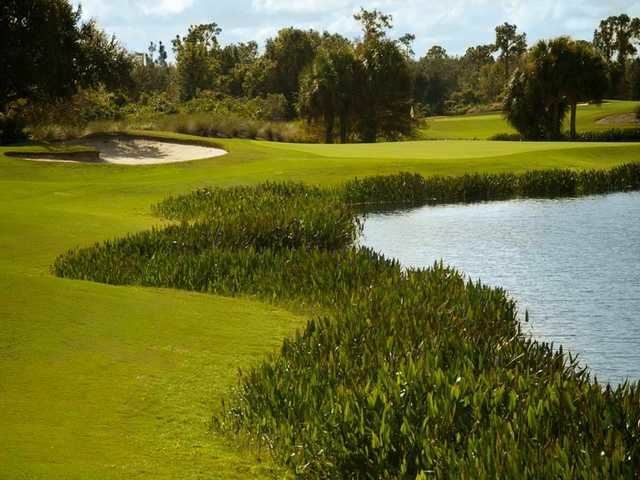 Falcon’s Fire is one of the finest public golf courses in Orlando. 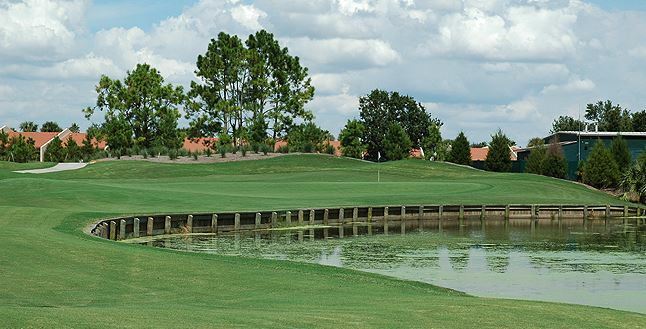 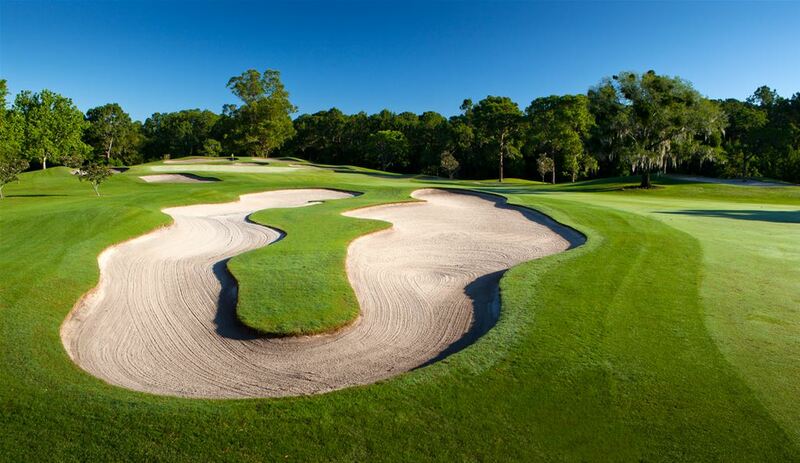 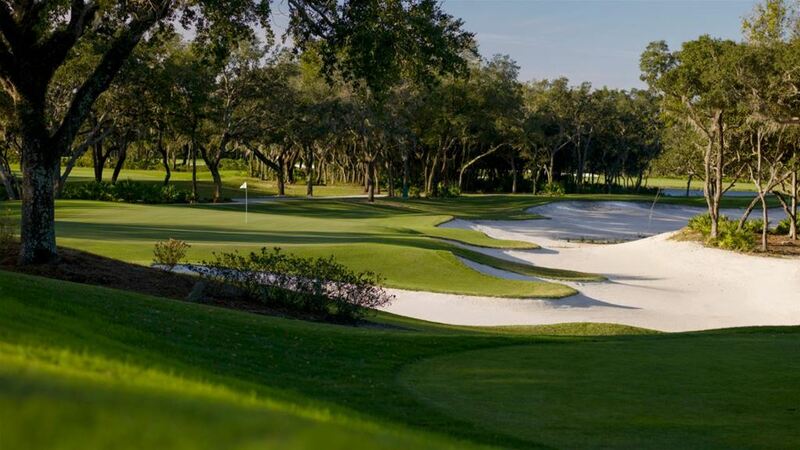 This Rees Jones designed championship course was recognized as the best public golf course in Orlando in 2015. 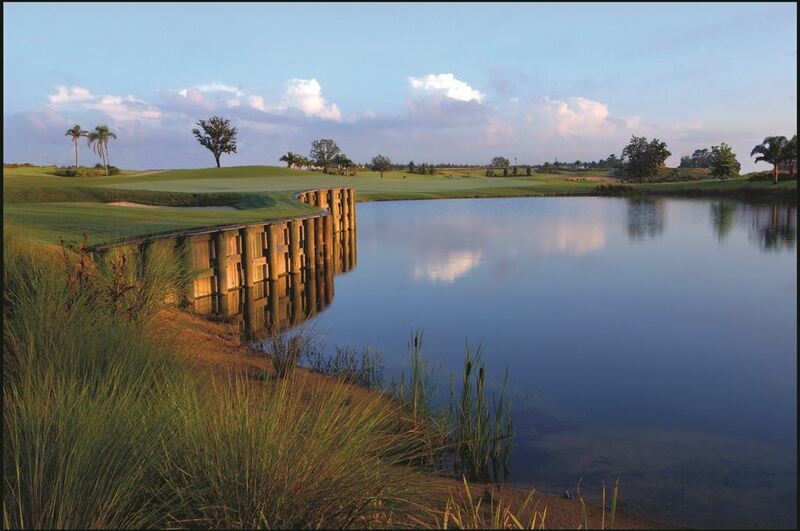 Reunion Resort is the best for your Florida Golf Stay and Play Vacation. 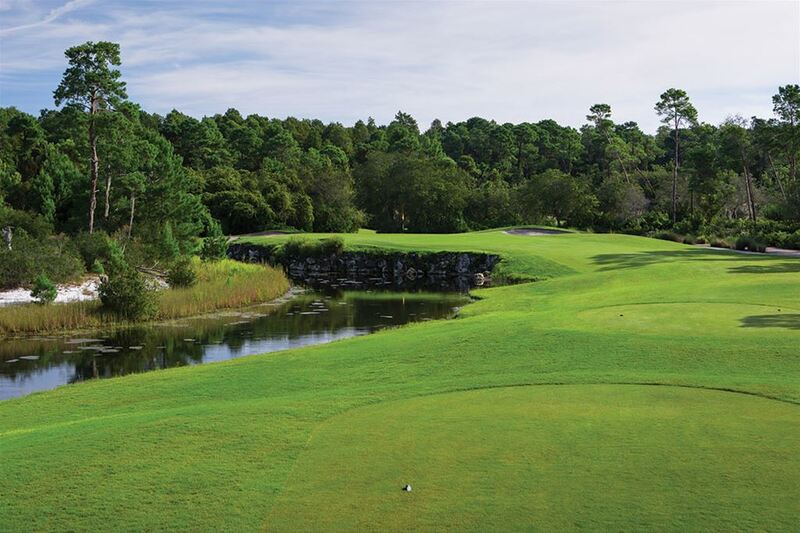 The Nicklaus Course is smooth and flowing with long horizon lines and elevated tee boxes and greens. 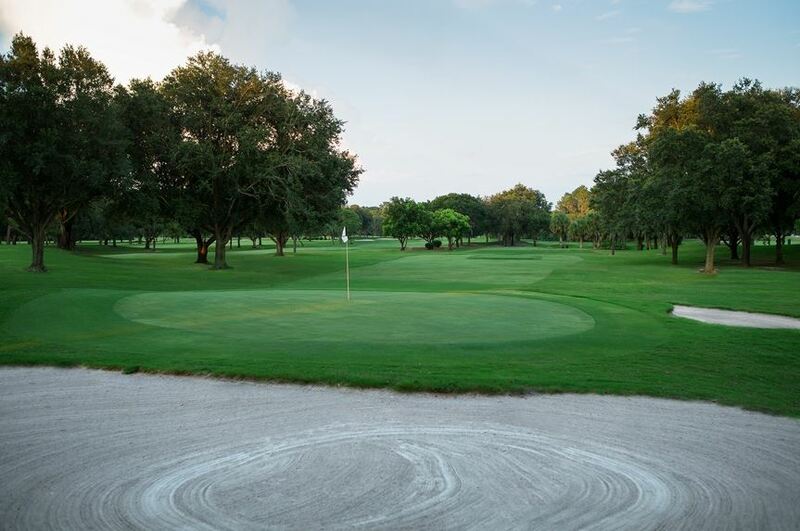 The Palmer Course is an Arnold Palmer Signature course with rolling terrain, mature trees, pristine natural preserves, and beautiful, extensive landscaping. 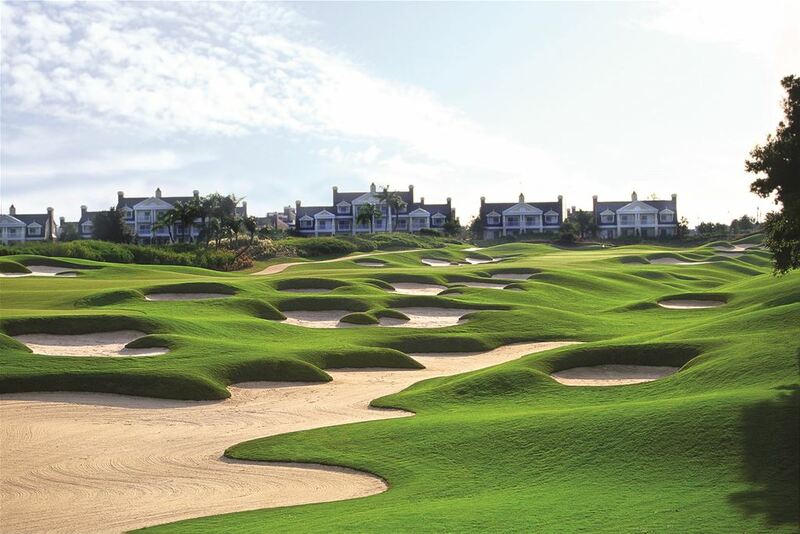 The Tom Watson Signature Course is a hilly course with subtle openings to greens demanding a strategic, well thought-out approach shots from players. 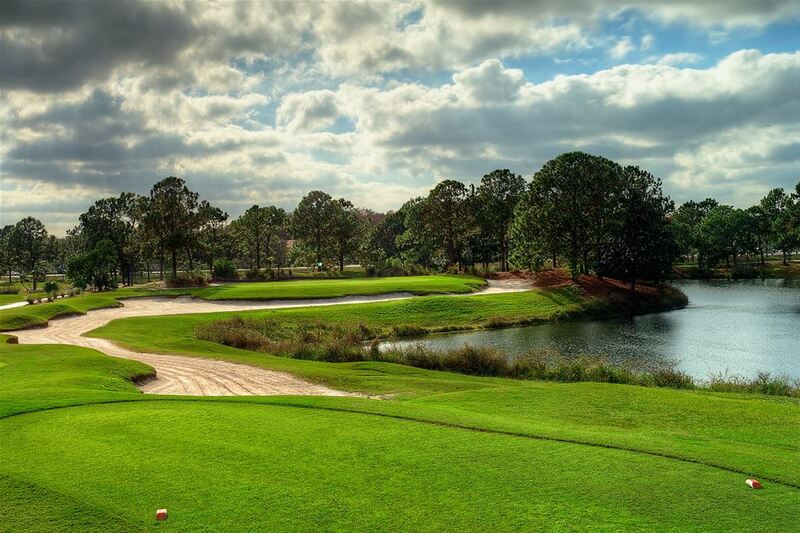 Tranquilo Golf Club at the Four Seasons is a Tom Fazio designed Par 71 course set among gorgeous cypress trees. 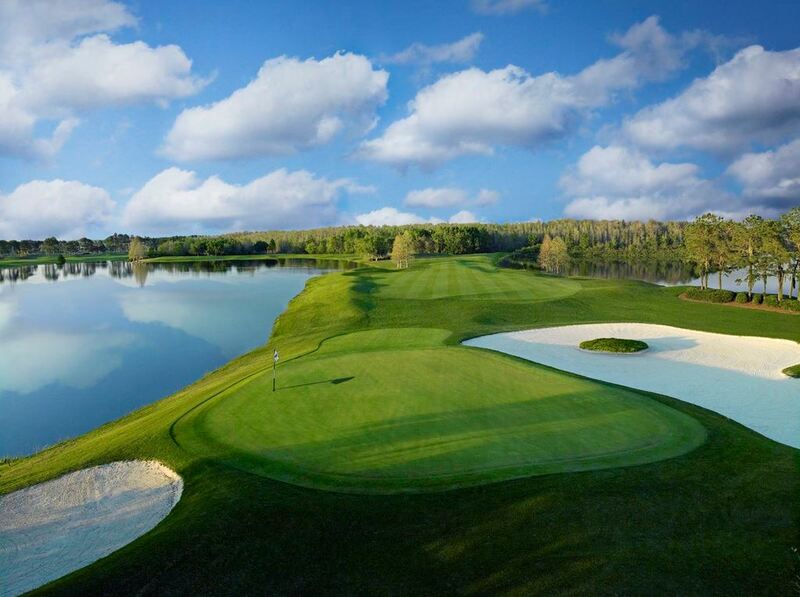 With four sets of tees this course will accommodate all skill levels. 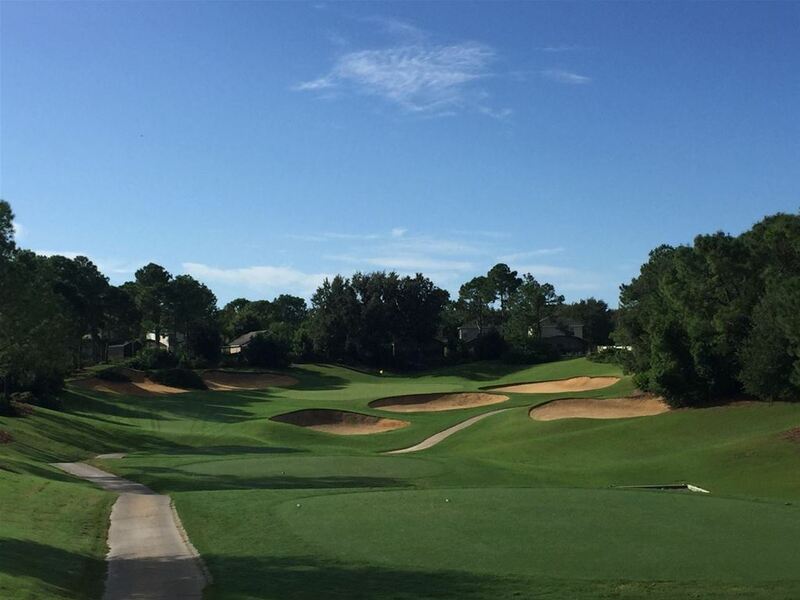 Celebration Golf Course is the final collaboration between Robert Trent Jones Senior and Junior. 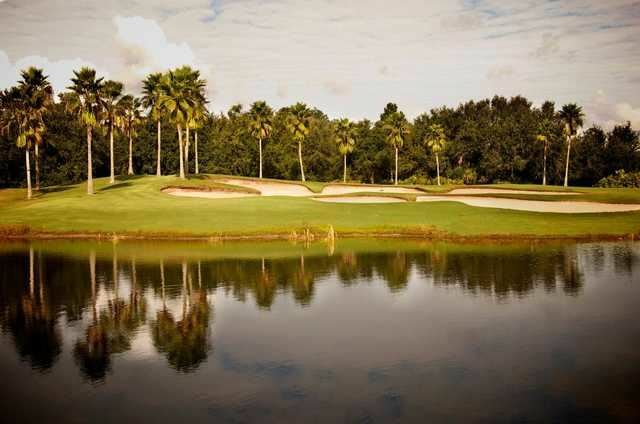 The layout is protectively framed by borders of native trees and natural wetlands and features strategic hazards and challenging greens that make for a rewarding day on the golf course. 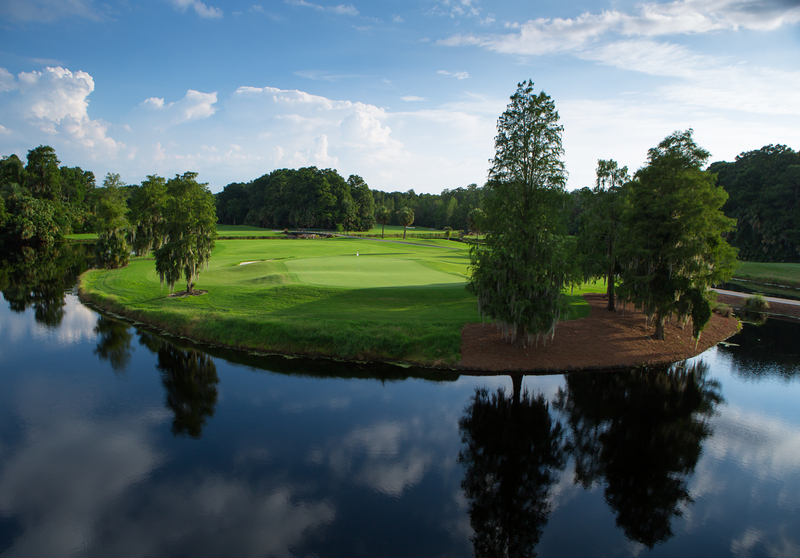 Our favorite Disney Courses include Lake Buena Vista, Magnolia, and Palm. 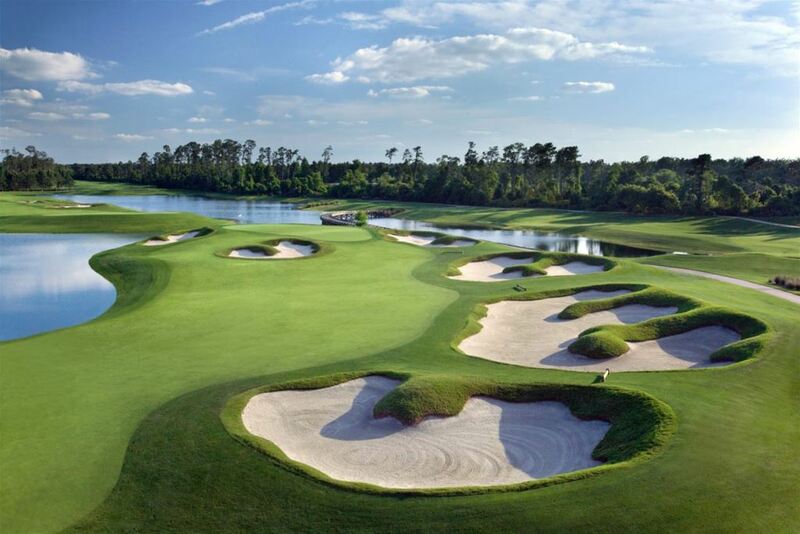 Disney knows golf as well as it knows theme parks and you will not be disappointed. 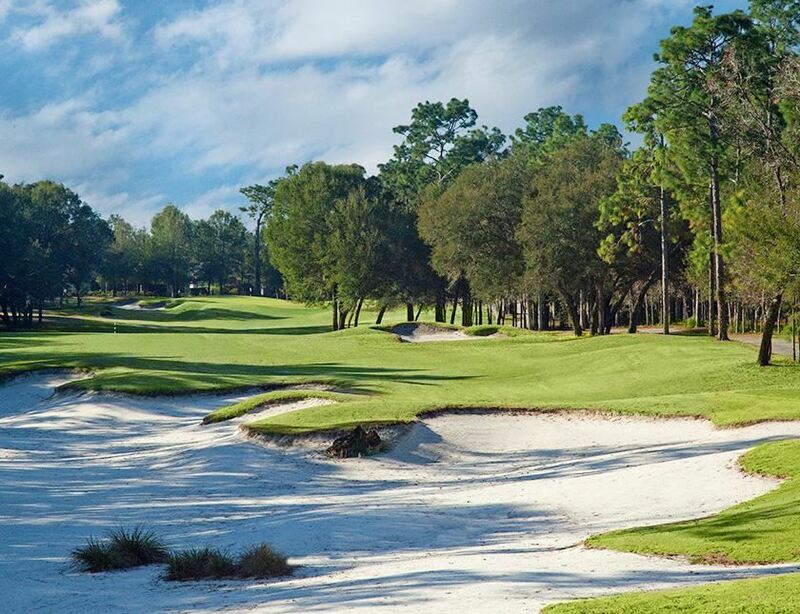 Lake Buena Vista and Magnolia are designed in the classic Florida style with pine forests, sparkling lakes, lush fairways and well-protected greens. 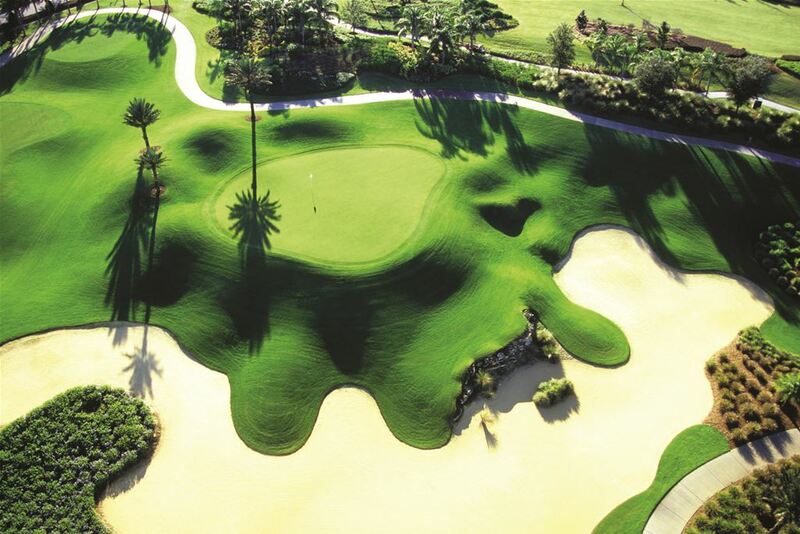 Disney’s Palm Course renovated by Arnold Palmer Design Company in 2015 is considered one of the most naturally beautiful courses in the country by professionals and amateurs alike. 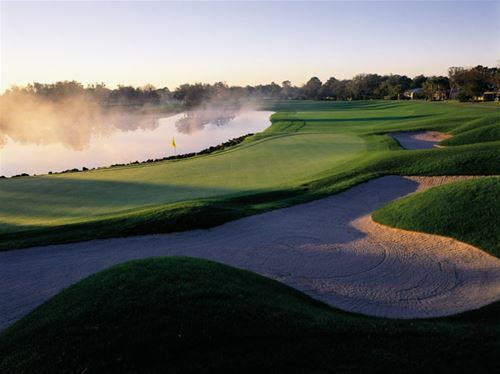 Let us help you plan your perfect Florida Golf Vacation with a trip to Orlando! 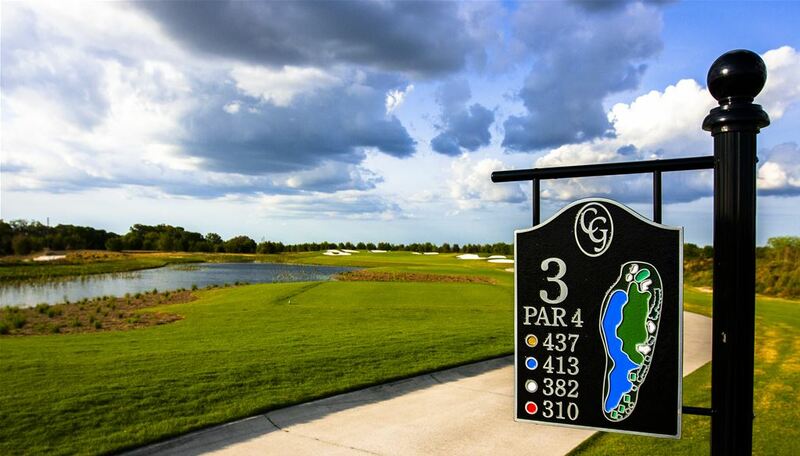 Find Online Rates for Orlando Golf Packages by clicking here. 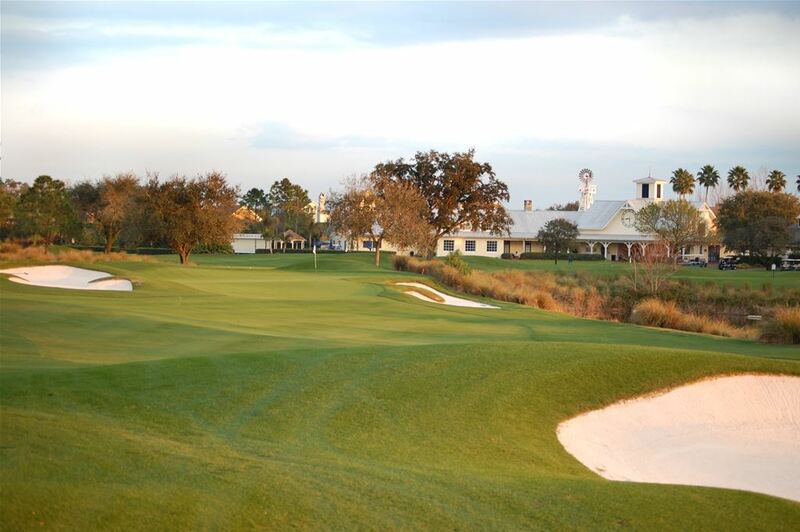 Request a Personalized Orlando Golf Quote from our Golf Consultants by clicking here.